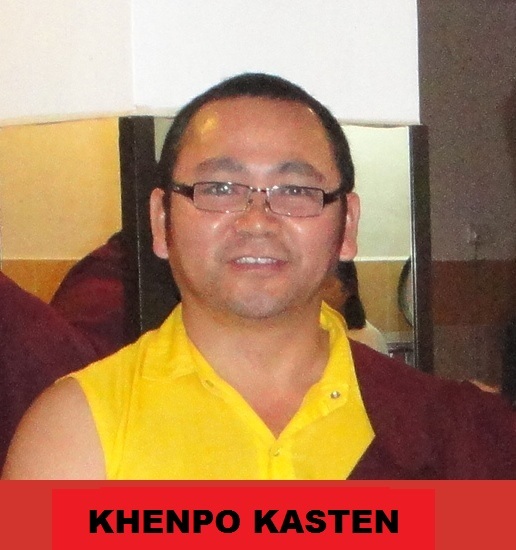 Khenpo Kasten was entered Mindrolling Monastery from very young age where he learnt all the Vajrayana's rituals and later he joined Ngagyur Nyingma College of Mindrolling where he studied Sutra and Tantra for nine years and obtained Doctor of Buddhist Philosophy. He also received many Terma and Kamas of Vajrayana teachings from many great masters such as Kyabje Taklung Tsetrul Rinpoche, Kyabje Trulshig Rinpoche and HH Mindrolling Trichen. He has served several years in a Nyingma Monastery in Solokhumbu, Nepal as a teacher. At present, he is a resident master of Odiyana Buddhist Centre, Mindrolling Centre of Malaysia.